The Fern and Mossery: You Can Archive Herbarium Specimens Too! 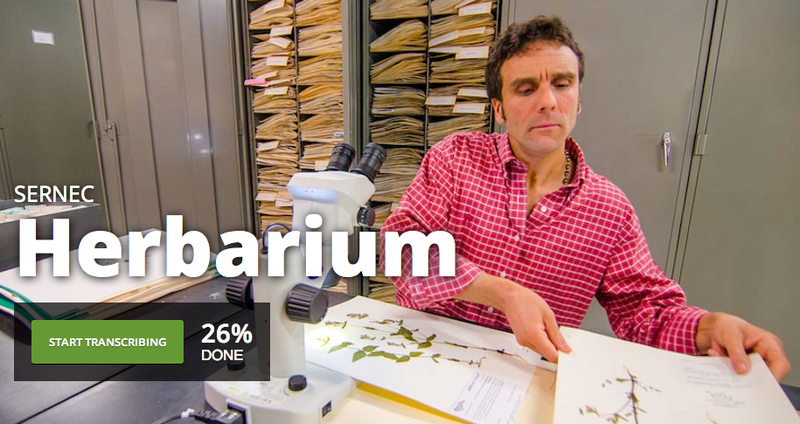 You Can Archive Herbarium Specimens Too! Thank you to reader Shireen for sharing this awesome crowd-sourced project. You may have caught my post about one institution's struggles to make herbarium specimen cards available to researchers. 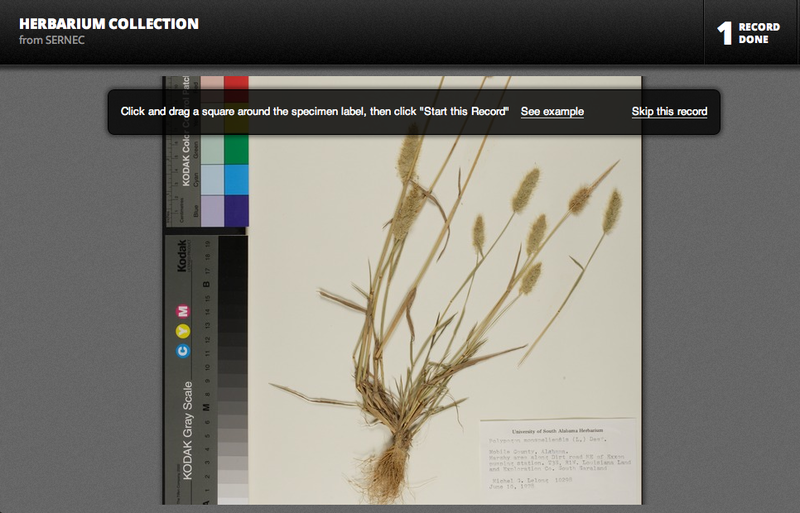 SERNEC Herbarium is a digital archive project that relies on people like you and me to digitize nearly 30,000 U.S. specimen cards for public access. It takes only a few minutes to type in the information you see on the specimen card, but the experience is one that transcends space and time. My first specimen actually hailed from a state park about an hour away from where I grew up, and was cataloged by a female scientist in the 1960s. Talk about cool. Here is a screencap of the entry screen to give you an idea of how easy it is; just identify the label on the card and you'll be provided with a zoomed image. The system will prompt you for fields like specimen name or name of the recorder and you just type in what you see!